You are here: Home / REMODEL / Learn How to Change Your Kitchen Right Now! FeastHome – Are you less impressed with the way things are in your kitchen, yet you have little funds for refurbishing it? Are you having a hard time figuring different ways of how to improve its appeal? Well, you don’t have to look any further, as there are different tips you can learn to help you improve the appearance of your kitchen. The goal is to make cooking a lot easier and hassle-free, compared to when you have to move one displaced item in your kitchen from one position to another. Interestingly, you may not be too convinced to see reasons why you need to change the look of your kitchen, being that it is an area that isn’t exposed to frequent visitors. 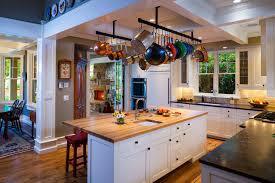 However, here are some points that can convince you to see the reasons why you need to learn about kitchen appeal. 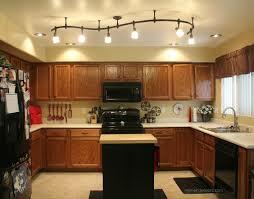 You need to give your kitchen that calm effect by making use of affordable light. Ideally, the best light you can use for your kitchen is led-based light. The reason is that led based light provide less heat, compared to other forms of light. Moreover, you can expect led-based light to help you with cost, because it saves energy far better than lights you are used to. You can expect a lot of activities to have darkened the floor of your kitchen. Therefore, you need to work out a new one as soon as possible. The best way to kick-start the idea of a new floor for your kitchen is by engaging a reliable company that is capable of working on old tiles. If you don’t have the capacity to hire a company, it is cool to have it dealt with by yourself. The floor can be thoroughly washed or repainted depending on your preference. You shouldn’t be rigid in your approach when it comes to transforming your kitchen outlet to make it look remarkable. One area on which many kitchens are lacking is proper shelving of plates and other important accessories of the kitchen. Preferably, you can opt for open shelving because your kitchen is provided with a new look that ensures that all kitchen sets and items are in their places, allowing kitchen users to make a free selection of items when in need of them. 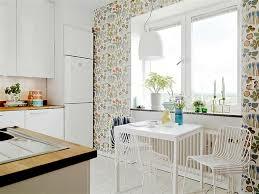 You can create a good impression of your kitchen by working on the wall. Your wall can house portrait, private paintings or new wallpapers to change the impression you have concerning the color of your kitchen. Your wall might have been darkened by the series of activities taking place in your kitchen. So in order to cover up for the stains, you have experienced in one form or another, newwallpaper can be used to conceal the old painting. It is not appealing to always sticking to one form of painting at all times. Rather you can have mural designs on the wall to ensure that your kitchen becomes not only a hub for encouraging art but also getting to be a place that is suitable for hosting mini parties. There are many functions that come with the use of the rack. 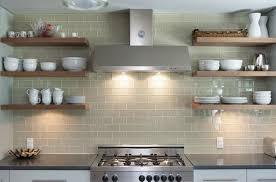 You can have a rack in place so that your aprons can be placed on nice spots in your kitchen. You don’t expect to see everything all mumbled up, because you have no racks to place your items. You should also consider having herb gardens in your kitchen to give it a natural look that has been missing for a while. Moreover, an herb, depending on the space being occupied for decoration, can provide enough reasons to beautify your kitchen with a blend of green color. So, you can expect the air in your kitchen to be calm, but completely purified to keep kitchen occupants in a relaxed manner. You should be able to devise means in which food items can be properly stored in your kitchen. At this juncture, you may consider the use of under-benches. The reason is that under-benches create a perfect storage capacity for your kitchen to store not only food but other important kitchen accessories that will become handy in the future. This idea may not sound nice to you considering the fact that you have to think of many ideas that can help sustain the beauty of your kitchen. However, this is one of the great ideas you can think of for clearing off excess cooking utensils on the kitchen board. You rest assured of getting enough space to move things around in your kitchen. You don’t have to struggle with the way in which your kitchen should appear. You can think of a theme and expect to executive it with actionable practices that can make your kitchen a delightful place to be. With a little budget, a kitchen design may go as far as looking like a new one. After all, you are out to make a good impression of your kitchen with the way it has been set up.